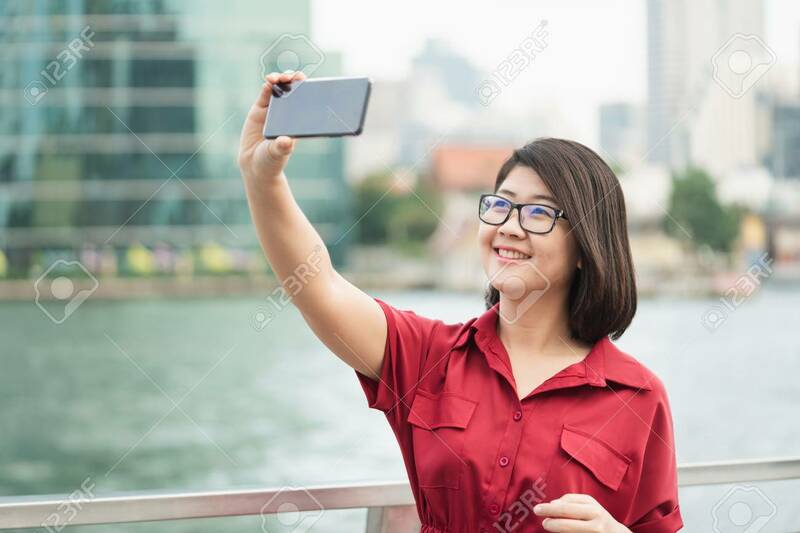 Beautiful Young Woman Holding A Smartphone. In Order To Take A Picture Of Yourself From A Camera Phone (Selfie). Tourism Concept Alone Self-portrait Photography Lizenzfreie Fotos, Bilder Und Stock Fotografie. Image 114602757.